You know how you thought that when you met the man of your dreams he would change? And he did. For the worst. But you still held onto him because you believed that having anybody was better than having nobody. No matter how he treated you, you believed that if you worked just a little bit harder, had one more conversation and a little more time, he would change. You were determined to work out the magic formula that would transform him. It was the power of your love that would realize his potential – if only he would just listen! It took seven long years before I accepted I was an abused woman. It seemed impossible that I could be one or that my husband was an abuser. He was far too rich, too educated, and too sophisticated. I came from a prominent political family, was the mayor’s daughter and was far too affluent to be a victim of abuse. After all, abused women lived in poverty stricken areas, were uneducated and their abusers were skin heads with facial scars and missing teeth. “No,” the security guard replied. “We receive more calls from this area than any other”. That was my first in a long list of beliefs that changed. Abuse is a great leveler. It reaches everywhere and everyone. Another belief in need of correction was that of my fairy-tale endings. As abused women, we refuse to give up on “happily ever after” despite the evidence that proves otherwise. We cling to the belief that our beast will turn into the prince, the frog will magically transform when kissed and our Knight in Shining Armani will whisk us off into the sunset. Or is there a different story? My story is your story because abuse only has one story. Most of us abused women are codependents. We equate love with need and unless we are working like a slave for a man our love isn’t worth anything. Our pathology demands damaged, wounded men to prove we can save them. It took a third abusive marriage for me to finally understand that the common denominator was me. Until I took responsibility for my contribution to the dance of abuse I was destined to repeat the pattern. I was living alone yet still feeling like a victim, stuck in the story of what had happened to me. Despite my love and commitment, I was cheated on. My devotion for which I expected applause and reward had resulted in violence and lies. Life wasn’t fair. But the only voice I was listening to was my own. I had begun to emulate my abuser in that I was abusing myself worse than they ever did. That was a wake-up call. 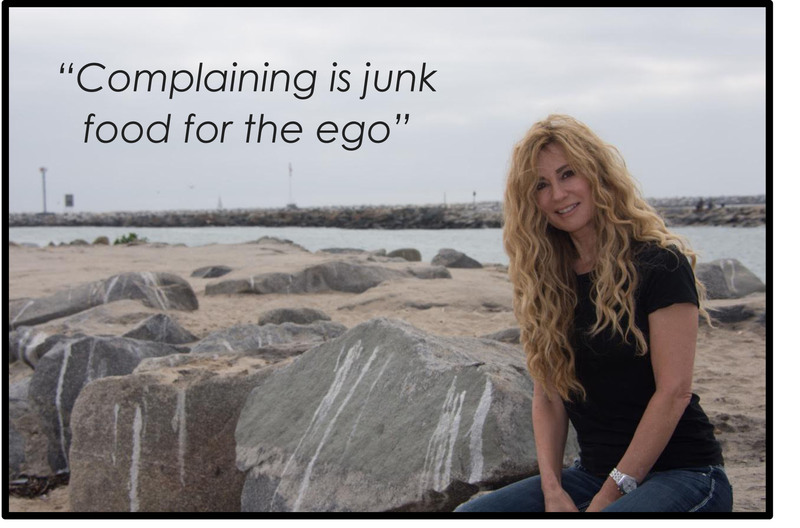 There is always a payoff to self-destructive behavior and for me it was that as long as I blamed and complained I didn’t have to take responsibility for my life. That sickened me. There is nothing more dis-empowering than being a victim. I could only imagine what I could achieve if put all my time and energy into myself and realized my own potential instead of my men. In that instant I became my project. I read every self-help book, attended Kabbalah classes, and even went to an ashram in India in search for answers. Slowly and painstakingly my search moved from outside to within and a new value system emerged. Everything I had thought was valuable and had assigned meaning to became insignificant and everything I believed was true, wasn’t. Scott Peck wrote in The Road Less Traveled that throughout our lives our sick side and our healthy side battle each other. The sick side is the insane voice of the ego that never shuts up. It’s the running commentary of labels, judgments, criticisms and comparisons that assigns meanings to every object, situation and event. It keeps us locked in past and future where fear, guilt, pain, loss, lack and conflict reign. It constantly feeds us lies base on our insecurities and we react to them as if they were true. It is the ultimate abuser. The healthy side is the place deep within that resonates with truth, love and peace. It’s the place where we experience an “aha” moment as a truth lands perfectly or experience the magnificence of nature. It’s the voice of wisdom that whispers when we are still. This is the voice that heals us – not the tyrannical voice of the ego. Abuse taught me the power of choice. I get to choose what thoughts I want, what feelings I want and who I want in my life. No one can rob us of our inner peace unless we choose to allow it. I am not for a minute saying that changing your world view is easy. It takes work, commitment and dedication. 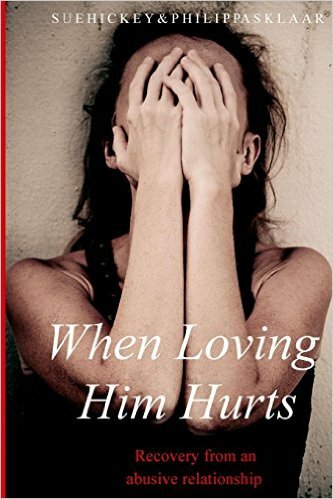 I struggled for years with abuse and one of the reasons I co-wrote When Loving Him Hurts was to short circuit other women’s journeys. If I could go from having zero self-esteem to moving across the world and publishing three books, what can you achieve? My first book, Hot Cuisine, was about men and food and my first client in LA was Elizabeth Taylor. 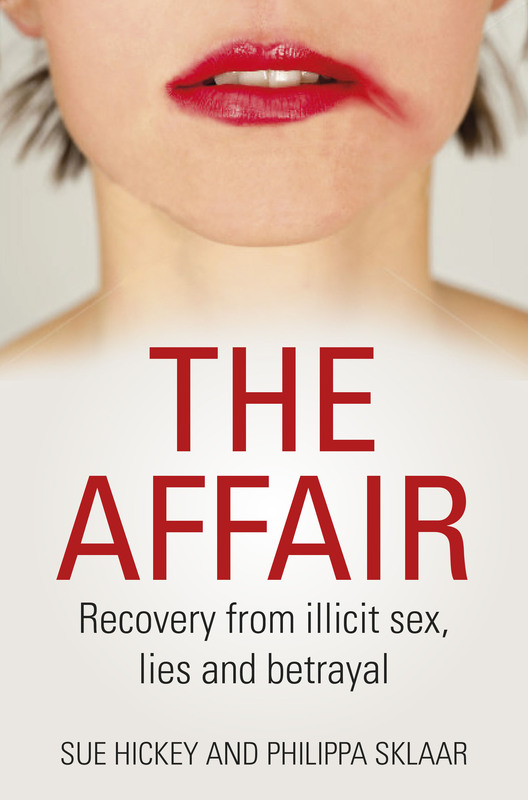 In 2015 I was invited by my ex-therapist, Sue Hickey, to co-write When Loving Him Hurts and the following year we wrote The Affair. Do you have any idea what that felt like when my ex-THERAPIST issued that invitation? To co-write a book with someone you hold in the highest regard when for years you believed you were worthless? I still tear up when I think about it. I have since formed a non-profit organization called The Women’s Voice Project to help abused women. I get to go out every day and help make a difference in people’s lives. Abuse gave me my life purpose. It was how I discovered my worth and how you can discover yours. Today you can choose it. If I found the golden goose in abuse, so can you. I just want to tell you that I am new to blogging and site-building and truly loved you’re web page. Likely I’m going to bookmark your site . You surely come with really good stories. Thank you for sharing your web site.